THE #1 KICKING GAME IS BACK! Become an NFL Kicker! Choose your favorite team and kick off the ultimate kicker challenge for 2015! From the makers of the award winning NFL Quarterback and Flick Golf. 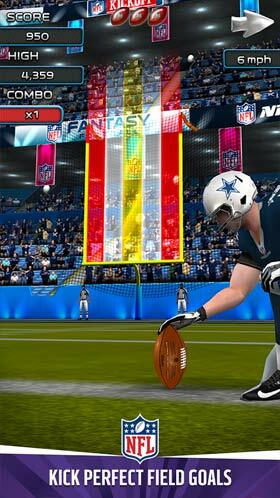 Kick field goals with perfect accuracy across three game modes. Can you kick yourself to the top of the leaderboards? 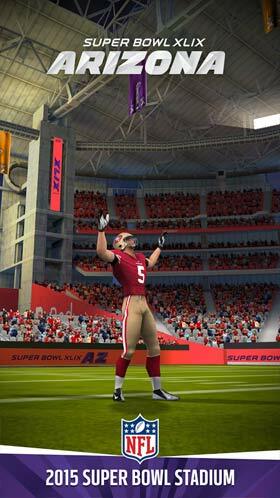 NEW SUPER BOWL XLIX CONTENT! Play in the University of Phoenix Stadium in Glendale, Arizona, home of this year’s Super Bowl! 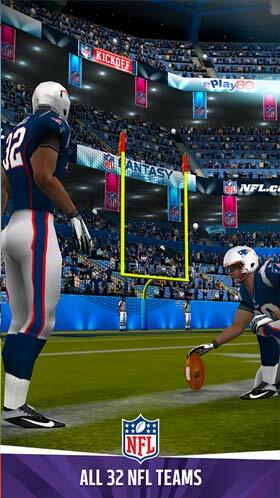 Awesome high resolution graphics put YOU in the action as the kicker, in amazing upgradeable stadiums with detailed players. Unlock modern and classic uniforms, and official Nike NFL equipment. Customize your gear and create your own Kicker experience. • Play in the University of Pheonix Stadium!